The EKO dry air dryer series is our proven dry air technology wrapped in a contemporary design and with a high level of energy efficiency. 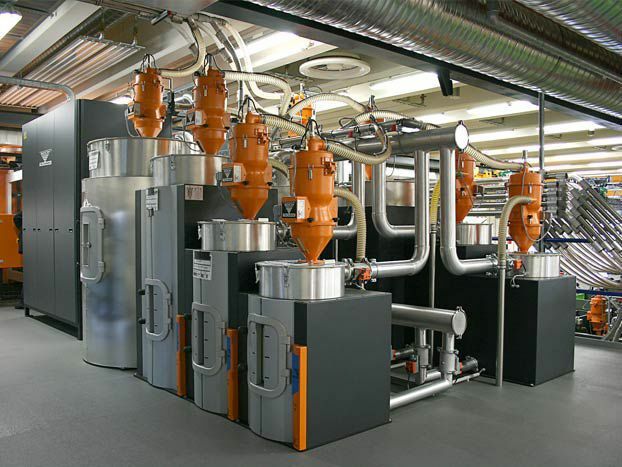 Combined with the dew point and KOCH ECO system control as well as frequency-controlled blowers, they can save up to 50% energy during the pellet drying. We offer the dry air dryers in the mobile variants EKO 110, EKO 200 and EKO 300 and also EKO 500 and EKO 800 stationary units with and without frequency-controlled blowers. The standard version of the EKO system is controlled via a functional diagram, which provides information about the operating condition at any time. If a dew point and ECO control system is additionally integrated, it is recommended that the control system be changed with a touch panel control unit. In accordance with our modular principle, various drying containers can be integrated in the EKO system.